A classic form relaxes into a satisfying silhouette. Its high back slopes into gently arched arms. Maple solids frame its graceful curves. 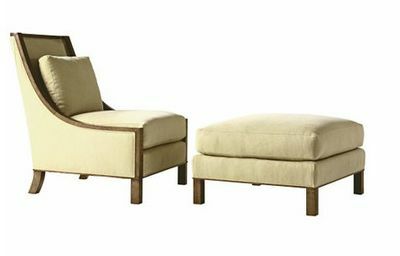 Paired with its companion ottoman it creates an exceptionally comfortable and fluid form.